Do you ever have trouble finding that right sermon illustration? Perhaps you need a Mother's Day video to honor the mother's in your congregation on Sunday. Or maybe you want to find a slick and fun countdown video leading up to the beginning of worship. You may want to consider SermonSpice.com. When I began working at Big Creek, I discovered a new opportunity (an opportunity that I didn't have at my previous church) - to use video during the worship service. But I wasn't sure where to find good quality and relevant videos. I stumbled upon SermonSpice during that time and have been using it ever since. SermonSpice is a clearinghouse of video illustrations, backgrounds and countdowns. Certainly you can purchase video and backgrounds directly from the producers, such as BlueFish TV, Baked Pickles, or Vertical Hold. But with SermonSpice is mashes them all together in one convenient location. SermonSpice not only offers a wide and varied selection of videos, backgrounds and countdowns to choose from, but they have a great search capability to find a video based on a genre (comic/dramic etc..) and topically/biblically. SermonSpice is the first place I go looking for creative media. 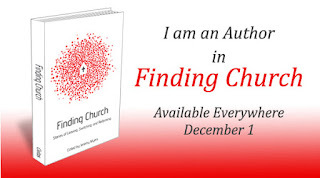 It has been a very helpful ministry tool, which I have recommended for several years. It saves me time and energy and the congregation always appreciates the creative and thoughtful videos. Disclaimer: The above is a compensated, yet completely truthful, endorsement of a valuable ministry resource. I dunno about pay to post stuff man. Don't you think it effects your credibility? bluefish.tv is another resource for these types of videos, and they are significantly less expensive. David, I like BlueFish TV and you are right, you can get it a little cheaper going directly to the producer - I used SermonSpice as a time saver because they mashup everyone's videos. I appreciate your comment. Although I think my credibility would be more in jeopardy if I didn't put the disclaimer out there, and be totally honest and above reproach. Also, I think my credibility would again be in jeopardy if I didn't say something truthful. SermonSpice wanted bloggers who are already using the service to talk about it. I could say anything I wanted, Good, Bad or Ugly. And for my effort they gave me $20 gift certificate for my next purchase at SermonSpice. The idea of receiving a gift for posting my comments was a new idea. I would ask other bloggers- Was it right for me to do it? Did the disclaimer make a difference in your opinion? Have any of you all ever been given some gift in exchange for posting on your blog? On my other blog, Provocative Church, I receive free books from publishers in order to review them - is that a similar issue and concern as this one is? I don't have a problem with the credibility issue whatsoever. Think about it, what opinion is truly going to be influenced by a gift certificate worth $20. It's not like the company is looking for positive reviews at $100 apiece and asking someone to write ten or fifteen a month. I don't know how desperate other people may be, but I just can't see a gift certificate as being enough to influence my opinion. As for who is better - Sermon Spice or BlueFish TV - our church uses BlueFish from time to time, but Sermon Spice has stuff that I think is very unique that can not be gotten from BlueFish. Having said that, I think both are a total waste if you pay for a subscription and don't use them. The good thing is that you don't pay for a subscription. You just purchase what you want. I think the disclaimer coupled with a readers' need to respect your integrity takes care of any credibility issue. 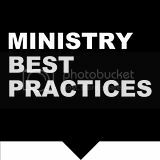 I'm also a fan of maximizing ministry potential - IMO they gave you a free video clip or two to use for ministry - that's a good thing. A win-win scenario.